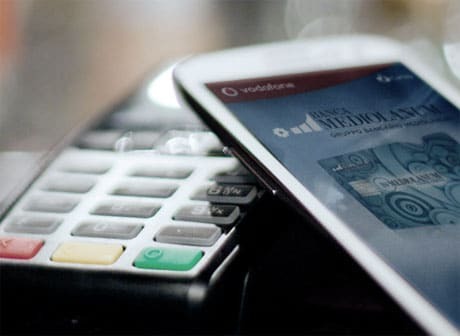 Banca Mediolanum is running a pilot to test NFC mobile payments with 60 consumers in Milan, in partnership with mobile network operator Vodafone Italia, and plans a commercial launch in early 2014. The Mediolanum Mobile Pay trial has equipped all consumers with a Samsung Galaxy S III handset, pre-loaded with the bank’s mobile payment application, and containing an NFC SIM card provided by Vodafone. The app, developed by the bank in partnership with technology infrastructure and service provider SIA, is linked to a MasterCard prepaid card issued by the bank, called InMediolanum Conto Carta. Payments are deducted from the prepaid card account whenever a consumer makes a payment using their mobile phone at any contactless POS terminal. The trial is due to run until the commercial launch of the new mobile payments service, expected in early 2014. Banca Mediolanum told NFC World: “The trial is taking place in Milan but we have had transactions also outside of Milan and outside Italy; some of our trialists tried the service outside the country, in England and the US. “The test has a double purpose; to test the new service from the technical point of view and from an experiential one, in order to collect qualitative feedback to understand properly the user experience and to position Banca Mediolanum among the first movers in Italy in the mobile payments service.